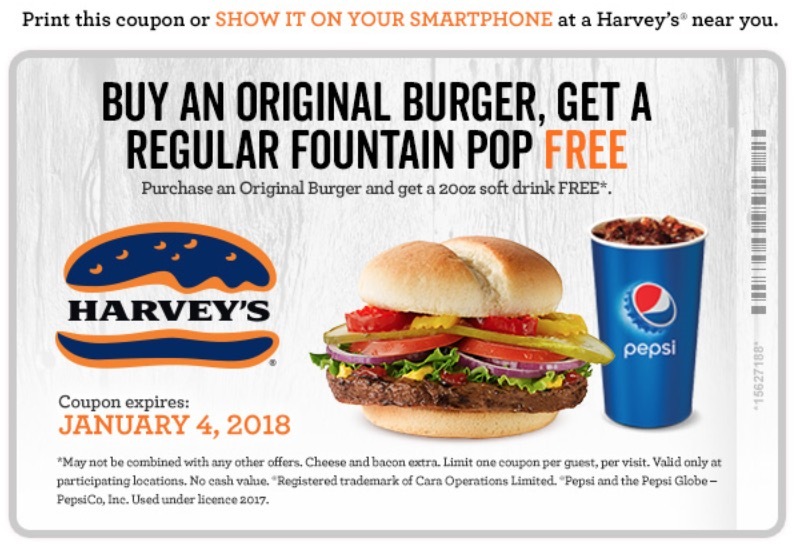 Harvey’s Restaurants Canada Coupons: a FREE Regular Fountain Pop when you Buy an Original Burger! Harvey’s Canada has a new coupon valid for only 7 days! The Harvey’s Canada offer includes: Buy an Original Burger, Get a Regular Fountain Pop FREE at Harvey’s Canada! 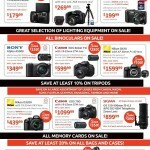 To claim this deal, either print out your coupon, or present it on your smartphone. This offer is valid until January 4, 2018. Offer is valid at participating locations only. 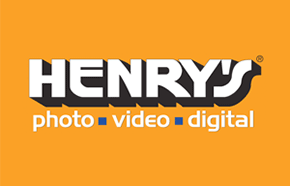 Click here for Henry's Boxing Week Sale Flyer December 25, 2016 to January 5, 2017.